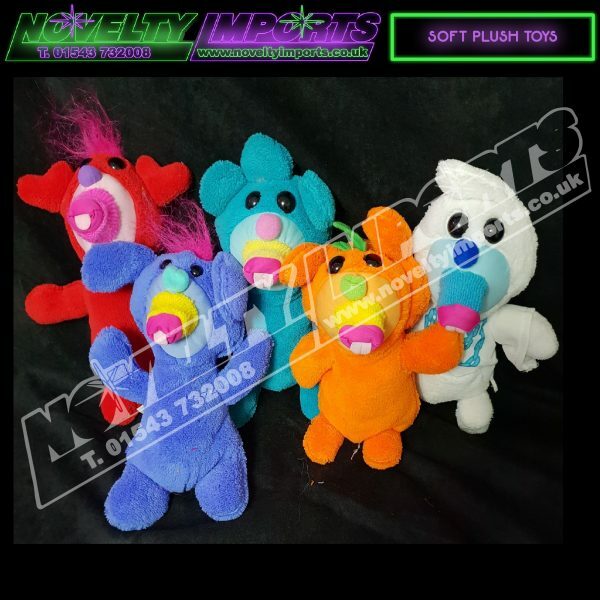 These economy crazy gang soft plush prizes represent AMAZING value for money! at a BIG 9" (inches approx) they are at a budget breaking low price of only 80p each! Ideal for prize every time wins, school charity fete fundraising and also for cranes and pusher machines. They come mixed colours and designs loke the picture in bags of 24/pc. LTD stock at this price so grab them quick.